Dear friends, I'm glad to announce you the September'10 Evocative Landscapes Contest Winner!!! Goldautumn by TheaMaiman is the work that will represent EvoLands group on Koinup pages during October'10! Congratulations to TheaMaiman and to all the guys who made this contest so competitive!!! 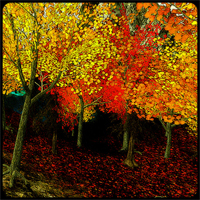 Don't forget to join the October'10 Evocative Landscapes Contest... you could be the next artist who will reprent us!!! Stopping a moment to stare a beautiful landscape is like falling in a dreamy, fantastic world... please, let show all your emotions posting here your best landscapes' images!